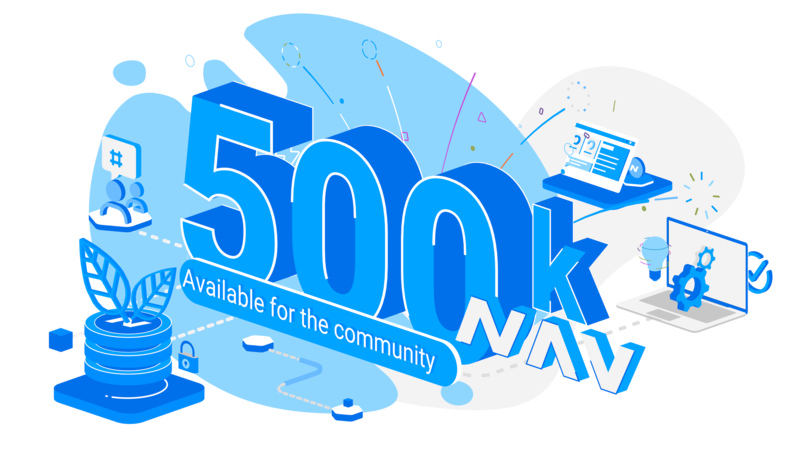 NavCoin is built by the community, for the community. Being an open-source project that ran no premine or ICO - NavCoin’s Community Fund enables anyone to get paid by the network for their contribution to the ecosystem. Projects are funded and approved by the decentralized network with no central authority. This ensures NavCoin’s direction remains firmly in the best interest of the entire network. This fund pays you to take your idea, nurture it, and build a team to bring it to life. The first community fund to implement a dual vote, to ensure that if work is never completed the funds are returned. Anyone and everyone can get involved by submitting a proposal - leaving it to the network to decide what's most valuable. No one owns the NAV in the Community Fund, the only way they can ever be spent is by the dual network consensus vote. Every block that gets minted generates 0.5 NAV into the community fund which accumulates over time. Funds get released through a second vote - which can be paid out in stages or once the work is completed. The community fund gives more power to the community - by funding people to get involved, and giving the network more of a voice about the direction of NavCoin. Dream up the improvements you would like to see in the NavCoin ecosystem, and submit your proposal to the network. Anyone who is staking the NavCoin network can vote ‘yes’ or ‘no’ for every proposal with their network weight. Payments are only released after a second round of voting validating ‘proof of effort’ by the proposal owner. Once a milestone is reached, the network votes to ensure that the project is on track, which releases the funds. Public awareness is one of the most important things to achieve for any cryptocurrency, and one way to achieve this is by creating stickers which you can post to different places like your car, the window of your store, etc. This proposal is to get the things needed to print and cut NAV stickers and send them out to the people interested in the community. You can read more about it here. This Community Fund project is designed to offset the carbon footprint of the NavCoin network, making NAV the world's first carbon neutral cryptocurrency. This proposal calculates the amount of electricity used by the network and the ecosystem around it - and proposes to purchase native forest carbon credits to offset this. You can read more about it here. NEXT is an alternative wallet for NavCoin. It's an open source, cross-platform full node NavCoin wallet. It can be run on Windows, Mac and Linux. NEXT provides all the basic wallet features like sending/receiving coins, and much more. This proposal is to fund the ongoing research & development of the NEXT wallet. You can read more about it here. Once you've joined the community channels, the NavCoin Collab website is one of the places to find the range of projects that the community is working on. It's a forum that acts as the ‘town square’, and makes it easier for the community to share their project ideas with each other. We’ve got a process to help you ensure your proposal has the best chance of passing. Step 1 - Understand the system and develop your ideas. Think of project that could inspire the NavCoin network. You can go it alone or discuss it with the community in Reddit, Discord or on the NavCollab website. Step 2 - Create a project page. It can be anywhere, but to give your project maximum visibility in the community consider using the NavCollab website. Work out the details of the project. You need to communicate why the NavCoin community should fund it, if you need to tap into other people’s skills, and how long it will take from start to finish. Your proposal might suit being funded in stages, especially if it’ll take some time to complete. Step 3 - Create your team. Do you need other skills to bring your project to life? Use NavCoin’s social channels and the NavCollab website to find community members who can help you complete your project. Step 4 - Submit your proposal. Complete the proposal form below, including a link to your project page. To complete the process, you will need to pay a proposal fee. If the fund has only a small amount of NAV left, then the projects that pay the highest fees to the network will be accepted first. A fee of 50 Nav is necessary to stop people submitting poorly thought out proposals. Step 5 - Promote your project to stakers. Once you’ve submitted your proposal, promote your project using the community channels. Communicate why you think it’s worth funding - what benefits will it bring? Why should the community support it? Step 6 - Voting begins. To be eligible to vote you must be staking NavCoin. Each voting period lasts 20,000 blocks (roughly 7 days). The minimum participation rate of stakers needs to be 50%. Of that 50%, a proposal must receive 70% ‘yes’ votes to be accepted. 70% ‘no’ votes will result in it being rejected. Proposals that don't met the 50% participation rate after 6 block periods will timeout and need to be resubmitted. Step 7 - Begin the work. Start work and do your best to stick to your timeline. Keep the community updated with how things are progressing in your project. It’s ok to ask for help along the way. Step 8 - Apply for payment. Once your project is complete you can apply for payment from the Community Fund. If there are clear milestones in your proposal you can apply to receive payments at scheduled points in the timeline. 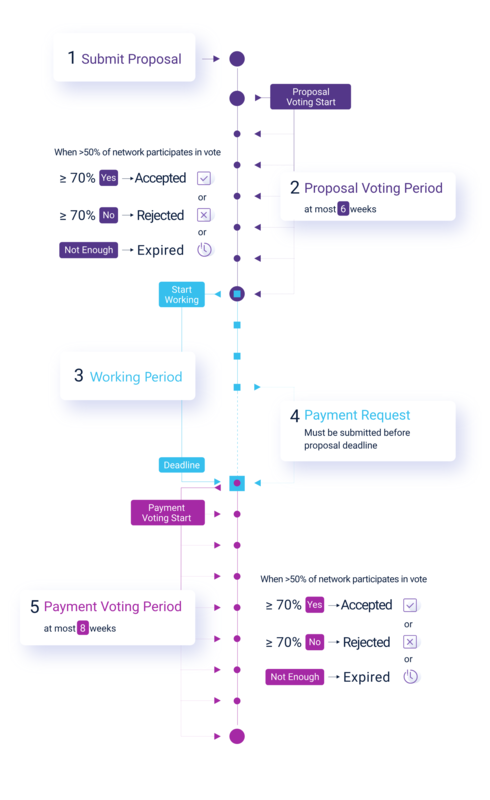 Payment is subject to a second consensus vote among NavCoin stakers. There must be a 50% minimum participation, with 70% ‘yes’ vote to be paid and 70% ‘no’ for payment to be rejected. Note that you will need to submit your payment request before the project expiration date (which you set when you create your proposal - so make sure to include some buffer).